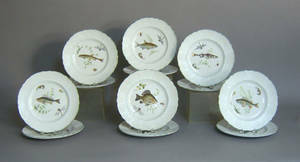 Twelve "Hyde" plates by Woods, 10" dia. 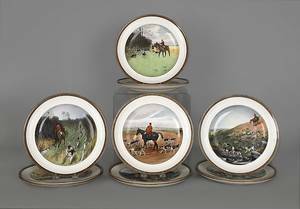 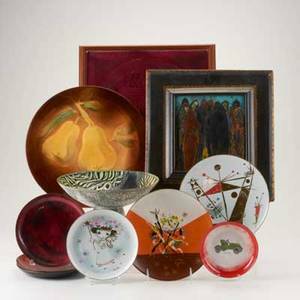 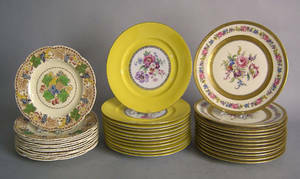 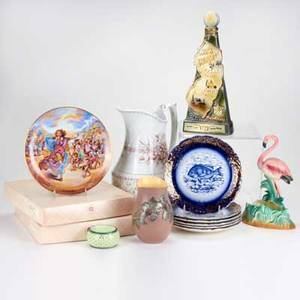 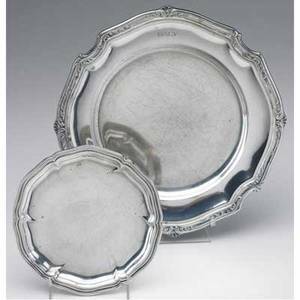 , twelve Victoria plates, 10 3/4" dia., and 12 Rosenthal plates, 11" dia. 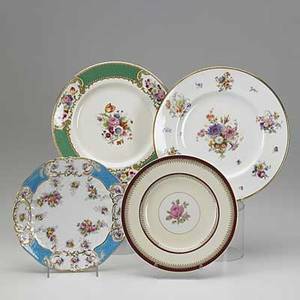 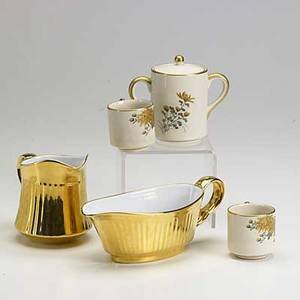 English porcelain; thirty-four plates: twelve floral transfers by caldon ltd. and twelve floral transfers by copeland, etc. 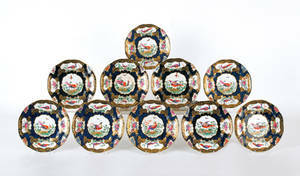 ; largest: 11"
Set of twelve ironstone fish plates by Simpson's Ltd.